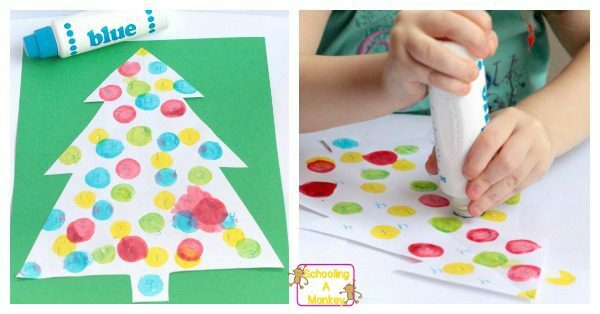 This simple Christmas color by number activity helps preschoolers learn to recognize numbers in a fun, holiday-themed way! We tend to focus a lot on the science side of our Christmas STEM activities, mainly using math as a tool when we need to (it’s what math is for! ), but when I look through our STEM activities, our math section looks a little thin. 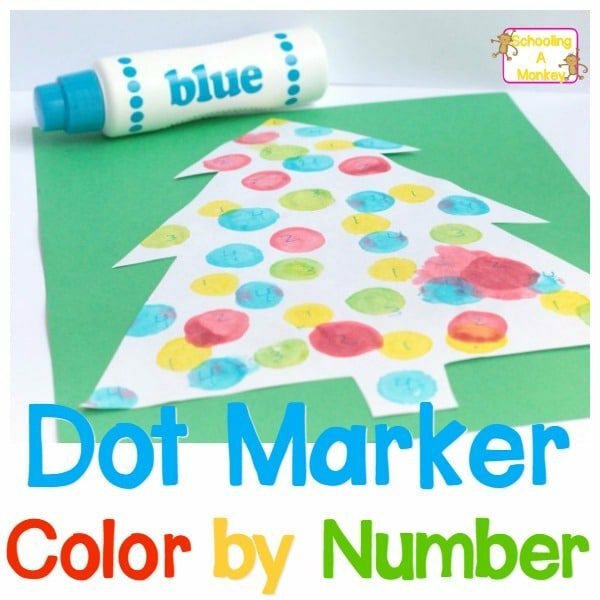 Bo is just learning her numbers, so I devised this fun Christmas color by number to help her learn her numbers. It was tons of fun for her (and me), and we will definiely be trying more color-by number activities in the future. 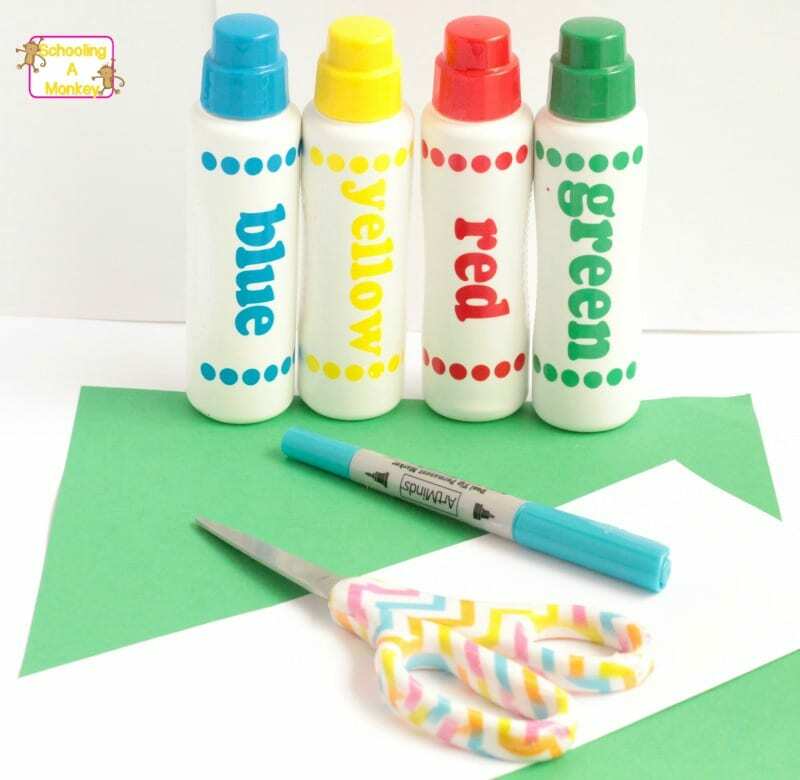 Disclaimer: This post includes affiliate links for your convenience at no cost to you. First, I cut out the shape of a Christmas tree from white paper. I like to draw my trees by making three triangles stack on top of each other in progressively larger sizes (I start at the top). It’s easy, and looks pretty good! 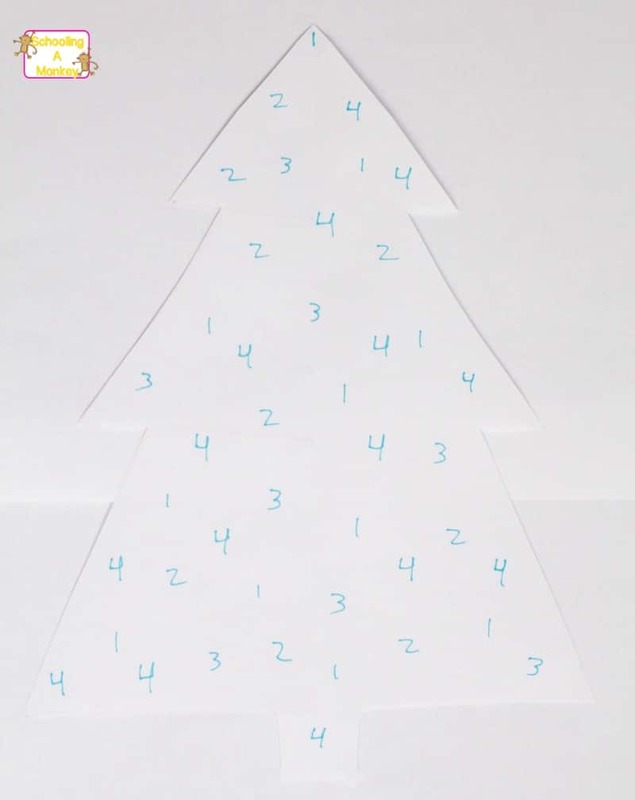 After cutting out the tree, I wrote a bunch of 1s, 2s, 3s, and 4s on the paper. 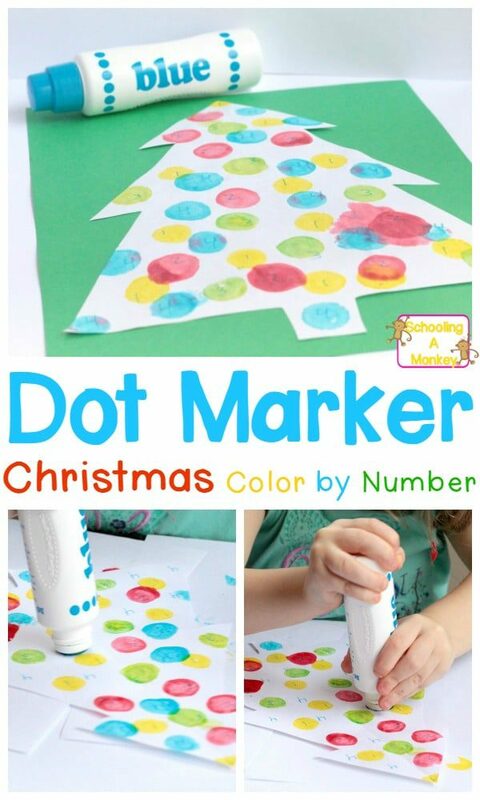 Bo is only learning to count to four, plus, we didn’t have that many dot markers. You can use whatever numbers you want. I instructed Bo to dot all the ones with yellow, all the twos with red, all the threes with green, and all the fours with blue. She loved doing this part. 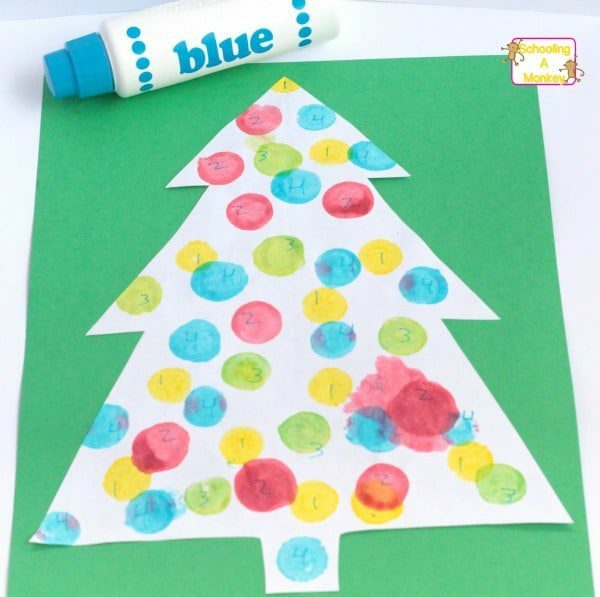 Finally, we glued the tree to a sheet of green paper and hung it on the fridge. Since this activity, Bo has reliably counted to four every single time. Yay for learning! 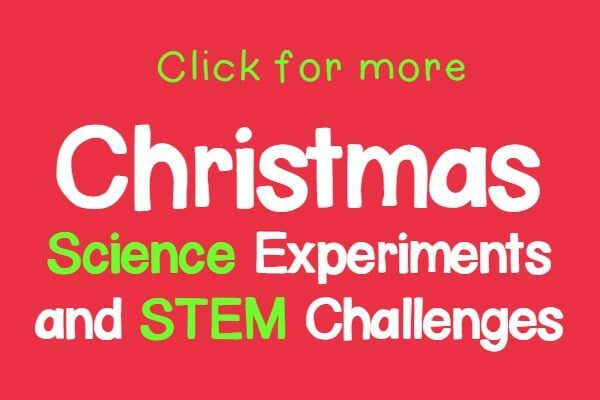 Looking for More Christmas STEM (Science, Technology, Engineering, and Math)?